Did you know that, due to transport being difficult in the early Olympic games, many of the competitors were not atheletes at all but simply well-doing tourists who happened to be there at the time? Don’t worry, TUI didn’t have us competing at the Games this year (I don’t think we’d have done so well if they had!) – the above is just one of many facts I learned as part of my role as Lead Coach Host at London 2012. For the duration of the Games, myself, Ben, Benjamin, Kelly, Deborah and Jennifer were working at the Games for TUI Sports brand “Sportsworld” in arguably our most customer facing role yet. For me, working at the Olympics was an absolute honour and being given the opportunity to watch so many of the sports was something I never could have expected but will always be grateful for. But more than anything, this was an opportunity to prove myself in a truly customer facing, fast paced, high pressure job. After 4 weeks of working without a day off and on irregular shifts of anything from 6 hours to 16, I feel like I’ve gone some way to achieving my goal of proving myself in that environment but at the same time learned a lot of lessons along the way. One of the most important of those lessons was that there will be times where we work in an environment in which we’re not entirely comfortable but that everything we’re doing below the surface should be hidden from the customer’s view, maintaining an air of calm and professionalism throughout (the other grads will appreciate that duck-in-water analogy!). I also learned a lot about corporate hospitality, an area in which I had no experience and where the complexities behind the scenes really must not be seen by the end client. As an employee of an agency working on behalf of a sponsor, there’s a long line of stakeholders all looking to the end result as a measure of the success of over 5 years of work. One of my proudest moments was receiving a text from one of our guests telling me how much she enjoyed her evening and how she thought I’d done a really good job; for me, that was going to reflect well on the sponsor and therefore I’d done my job well. And who could fail to learn from the athletes taking part in the Games? I guess that, technically speaking, I’m not part of the generation they aimed to inspire, but I genuinely did take a lot from seeing people so dedicated to what they do and seeing the fruition of all of their hard work. 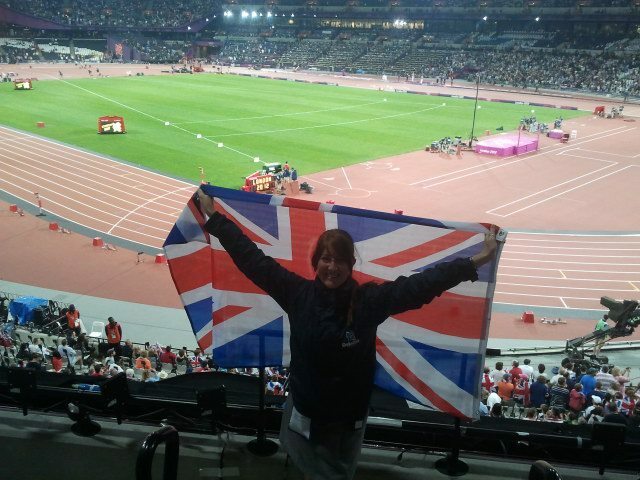 That, combined with the incredible atmosphere around London throughout the Games, was enough to spur me on. I now look forward to taking the lessons of the Olympic Games in my next role.